The attack against the castled king is the most common type of attack in many games, since many experience players would already have castled early in the opening. Because of the nature of this topic, I will have to span it over quite a few posts to cover the various aspects involved in the attack against the castled position. We begin with a few general considerations. One must note that an attack against the castled position is different-- and often more difficult-- than the attack against an uncastled king. The weaknesses which we discussed in Part 1-- the e-file and the weak f squares-- diminish greatly after castling, and many new dynamic possibilities open up for the player. He brings his rook into the game, clears the e1/e8 square for a possible attack, and has made the necessary preparations to establish a line of communication between his rooks (i.e. clearing the back rank such that his rooks protect each other). 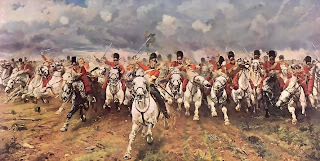 So before attacking the castled position, one must take in a few considerations-- namely, the features of the castled position, and the feasibility of an attack in that theatre. For one, castling in itself creates a positional feature that changes little throughout the game. 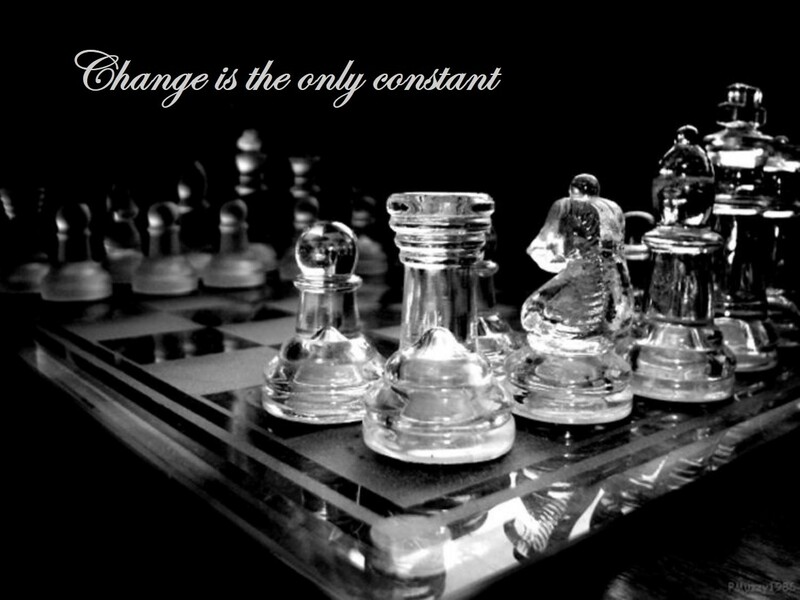 When the king is still in the centre of the board, it has the liberty of choosing whether to remain in the middle, or to castle kingside or queenside. But after castling on one wing-- and taking into account that castling is irreversible-- the king already commits himself to a protective shelter on one side of the board. And it is in that area which he stays throughout the most of the game, and only until the endgame does he leave his command post and joins in the fight for the centre. It is precisely this fixed nature of the castled position that the opponent will naturally take into account during his planning. Ever wondered why both sides deliberately castle on opposite wings in the Sicilian Dragon, Yugoslav Variation? Because they know that their adversaries cannot change the positions of their kings easily-- thus making it easier for both sides to launch attacks on parallel wings. Next, the various strengths and weaknesses around the castled position will affect the way in which the attacker deploys his pieces for the assault. 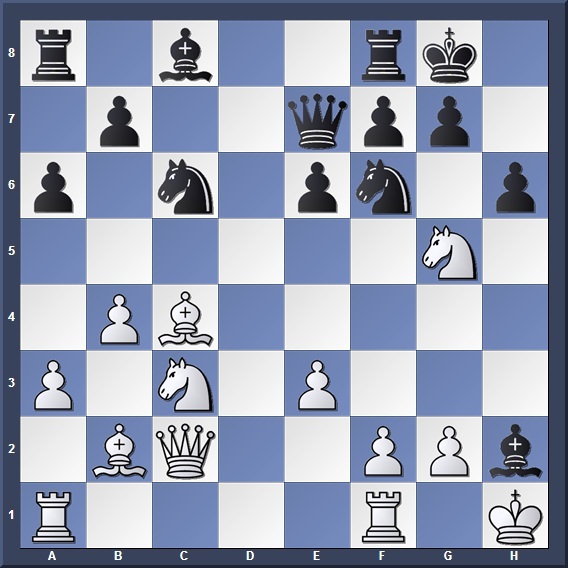 The removal of a fianchettoed bishop leads to the creation of weak squares that the attacking pieces use as their points of entry (not trying to reference anything). The clearing of a file/diagonal gives avenues of access to the enemy rooks or bishops. And the classic bishop sacrifice on h7/h2 destroys the protective pawn cover, allowing for an all-out storming of the position. These are just a few of the many features in an attack against the castled king. "Bad news, sir. While our million man army was sieging the enemy, a hundred men arrived and took our city"
Depending on the arrangement of the pieces and pawns around the enemy king, the strength of the squares in the castled position will vary. It is mostly true that a weak pawn structure in the castled position will open up weak squares, and these weak squares become what is known as focal points-- that is, points where the opponent should drive his attack against. These squares form the corridors through which the attacking pieces enter and deliver mate. 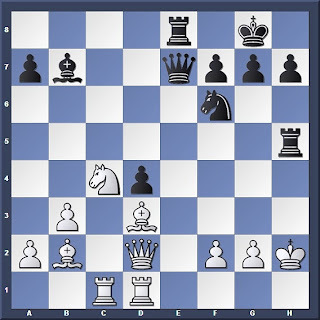 Oh this following position, Black's pawn structure opens up holes on the dark squares which White must inevitably use to deliver mate. Over here, the main focal point will be the g7 square, on which the mate will be delivered (1. Qh6 followed by 2. Qg7#), and the dark squares around this is known as a system of weak squares, throughout which White finds a path into the castled position. In a kingside castled position, the two main focal points of attack are the g7 (g2 for White) and the h7 (h2 for White) squares, as these two are the most accessible points for the attacker. Attacks on the f7/f2 squares are also possible, but not as common. For today, we'll take a look at the g and h squares. The h7/h2 square is probably the most frequent point of attack (yes, more common than the g squares) against a castled position, simply because it is so easily accessible to the attacker. 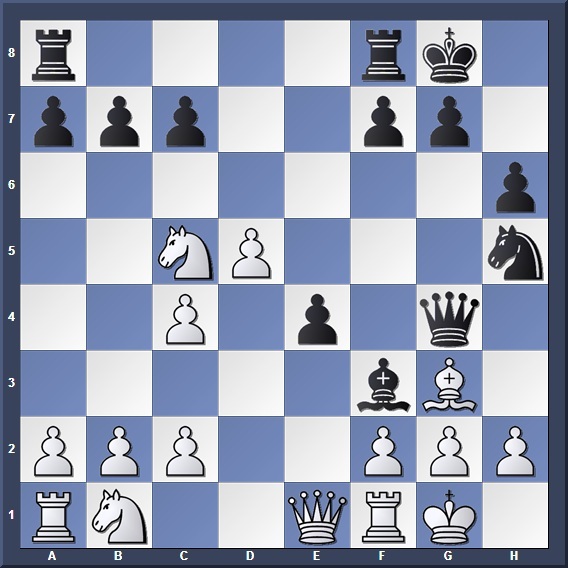 To use the above diagram as an example, the h7 square comes under fire from a bishop on d3 (which is the natural developing move for the bishop), and White's knight can easily hop to g5 rather than f5 or h5. And it is precisely this ease of clearing the square that leads to stuff like the classic bishop sacs on h7. However, the main drawback of attacking the h7/h2 square is that it is easier for the opponent's king to escape (by fleeing to the f-file) as compared to an attack on the g squares. Thus, most attacks against the h7/h2 squares can be sparked easily by a clearance of the square, but the real challenge comes when the attacker tries to stop the enemy king from escaping. 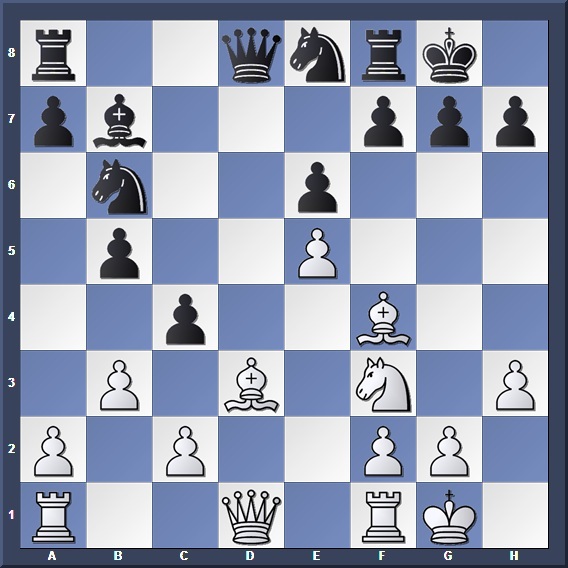 For example, in the case of the classic bishop sacrifice, one can simply clear the h7 square with 1. Bxh7. 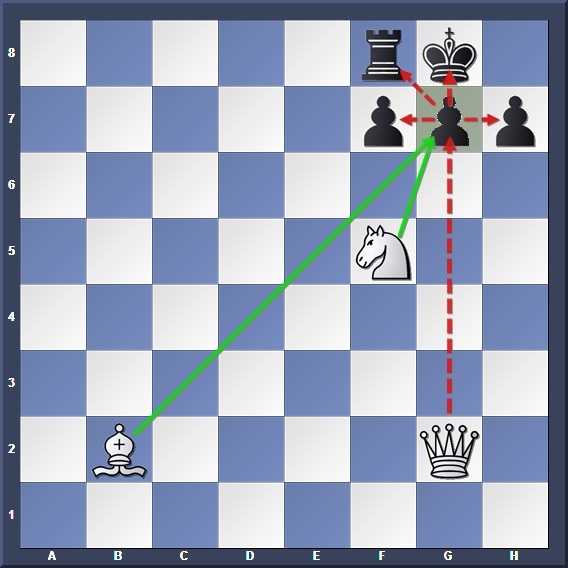 But after that, one must take into account the numerous variations in which the enemy king tries to flee after 1... Kxh7, after which the king has options to flee to g8, h8, g6, h6-- depending on which of these squares are covered or blocked. And then there are also the variations where the king declines the sacrifice by moving to f8 or h8-- seems like it's not a very easy task to calculate all of them! So now, imagine if you're Black, and you want to follow up your last move with a mating attack. Oviously the two candidate moves are 21... Ng4+ and 22... Rg5+, so which will you choose? Now look at the position. 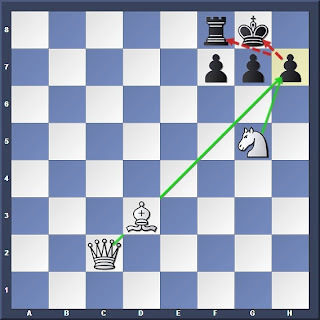 The White king has 4 possible escape routes: Kg3, Kh3, Kh1 and Kg1. Are you going to spend all day long calculating them, especially in scenarios where you probably have less than 15 minutes on your clock? And now by looking at the position we can see only two variations we need to consider, namely 22. Kg3 and 22. Kg1. 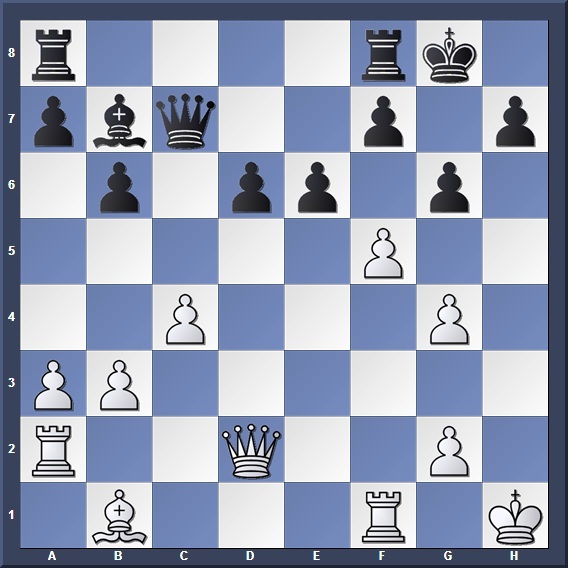 Before you scroll down, try to take some time (you can use a chessboard to help you if you want) to calculate what are the possible ways for Black to deliver his attack in the two different variations. 22. Kg1 Ng4! 23. Qf4 (If White moves stuff such as 23. Re1, Black threatens 23... Rh1+ 24. Kxh1 Qh4+ 25. Kg1 Qh2+ 26. Kf1 Qh1#) 23... Qh4! and there is no defense against mate on h1. And there you go, the variations after 21... Rh5+. 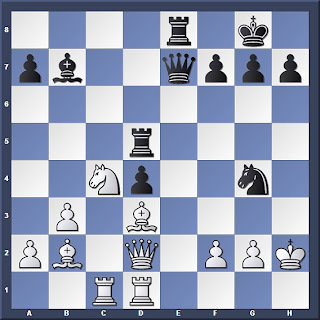 In actual fact, post game analysis showed that 21... Ng4+ also wins for Black, but in a longer and harder way. White was probably hoping for 1... Kxh7, after which 2. Ng5+ followed by 2. 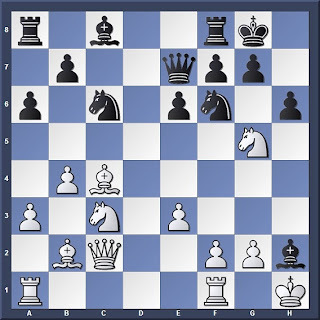 Qh5 leads to the typical mating attack after the classical bishop sacrifice. However, he failed to calculate the variation where Black declines the sacrifice-- and now his bishop has nowhere to run to! 2. Ng5 Qxd1 3. Rfxd1 g6! And no defense can be found against 4...Kg7 followed by 5...Rh8, winning two minor pieces for a rook. Once again, this emphasizes the importance of careful calculation, rather than making mindless sacrifices! And thus to repeat my earlier point: In an attack against the h7/h2 square, the challenge lies not in how to clear the square itself, but rather how to carry out the mating attack in subsequent variations after that. However, one thing to note is that as compared to an attack on the h square, an attack on the g square is more dangerous. The main reason lies in the area of operations around the g square: Once cleared, the attacking pieces also exert their control over the squares along the f and h files, making it more difficult for the king to flee along these files. In contrast, a clearance of the h squares still offers the defender chances to utilize the f-file for escape, which often poses a challenge to the attacker. Thus, the main challenge for an attack on the g7/g2 square lies in how to get your pieces to clear out the square-- once that is done, the subsequent mating variations that follow are often not too difficult to calculate. Black has maneuvered his pieces with some difficulty, but now they're poised to strike the g2 square. There is no parrying the threat against g2-- 3. gxh3 leads to 3...Nxh3#. And this is a simple highlight of how dangerous an attack on the g square can be as compared to an attack on the h square. 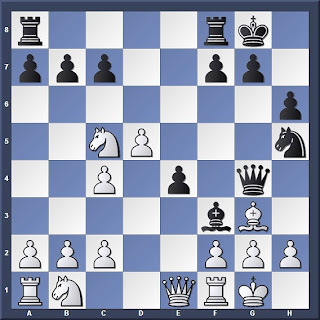 In this game, note how White maneuvers his pieces into a position ready to attack the g7 square. On the 20th move the battle for the g7 square begins, upon which the Black king already has relatively little space to run. Sometimes it is not just one weak square in the defender's camp which can be exploited-- very often, the attacker can make his task easier by creating two or even three focal points from which he attacks the enemy king. 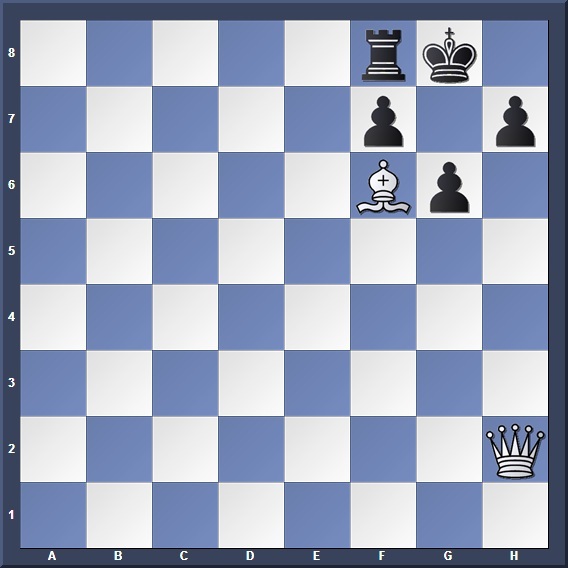 One example of this will be the case where a fianchettoed bishop is removed from the kingside castled position, creating a series of weak squares of the same colour in the area-- or what is known as the system of weak squares. When there are multiple focal points within the castled position, the attacker can use his pieces to control both focal points at the same time and alternate attacks on them, thus making it harder for the defender to carry out his task. In the case of a system of weak squares, the bishop and the queen are always the favourite pieces as they dominate squares of a certain colour. White can't go any further in his threats against g7, but the excellent placement of the Queen offers a new opportunity for an attack on h7. 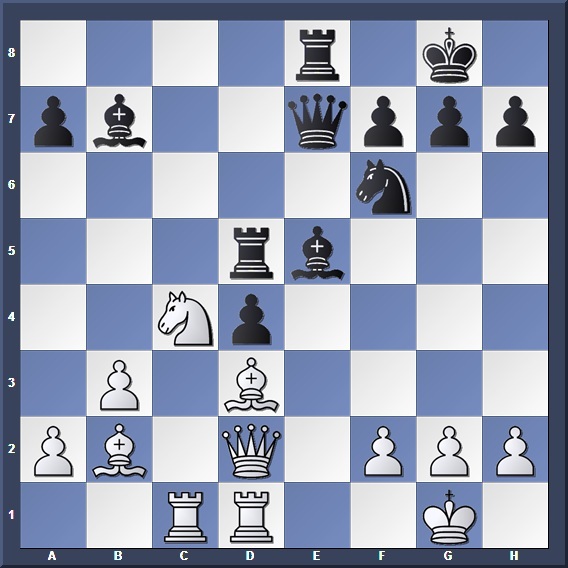 All that is needed is for White to lift a rook onto the h-file. 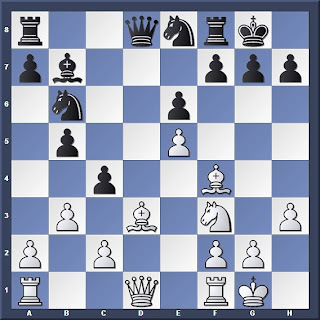 And Black can only prevent mate for a move or two by sacrificing his queen on f4. The double threats against g7 and h7 proved too much for Black to defend. In Part 3, we will extend our discussion of the attack against the castled king to the ranks, files and diagonals involved in the assault.